Flower Balloons for all occasions! 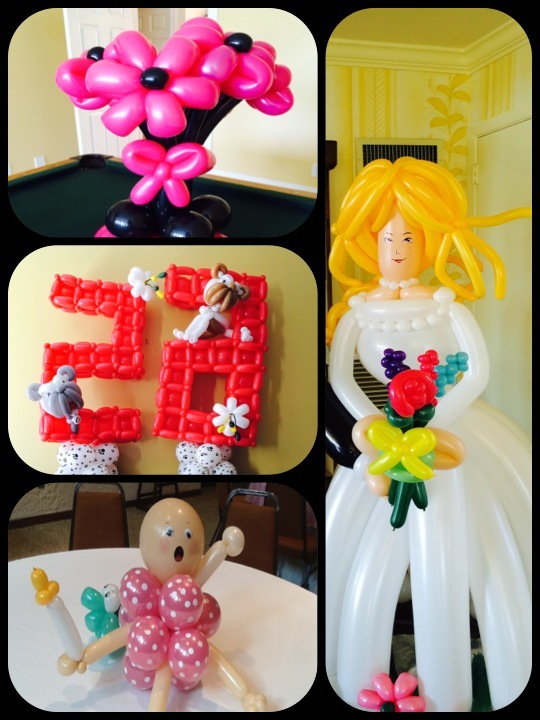 Let Balloon Smiles create amazing custom Balloon figures For your next event. Life size Brides and Grooms to your favorite Monsters or Wearable Balloons. Need a Get Well, or Happy Birthday delivery? We will twist a figure per your request, If you can imagine it, we'll create it..
"Wow, that's the best!" Schedule us today! Oh my goodness! I don’t know where to start to tell you how FANTASTIC the balloons were for our B’nai Mitzvah yesterday. Each of them were a work of art, and with the tallit on each and Torahs in their hands. Just outstanding!!! We did give a donation to the Synagogue in your honor, and I know you’ll be hearing from the other members individually. How can we ever thank you enough! All I can say again is WOW. Judy was awesome. She was very friendly and the kids really enjoyed the the balloons! Thank you so much. Football season is here! What a wonderful event. I look forward to working with you again next year. Everyone on your crew is so helpful. Loved watching the Drum line working their magic. My daughter loved her mermaid bouquet! Great personalized service, too. Thank you so much. I had fun presenting your daughter with a surprise life sized Balloon Mermaid. It was a nice having your recorded message singing happy birthday from my phone for that personalized touch. Wishing all her birthdays are special as she is. We try to make all Celebrations into an Event to Remember. Balloon Smiles, when you see a Balloon, It makes you Smile! Judy is the best her holiday balloons really perked up our office. The detail and skill are amazing. It was the perfect beginning to a great holiday week. Thanks again Judy. Balloon Smiles was a great addition to our son's 5th birthday party. The kids loved the balloons and she was great with the children. 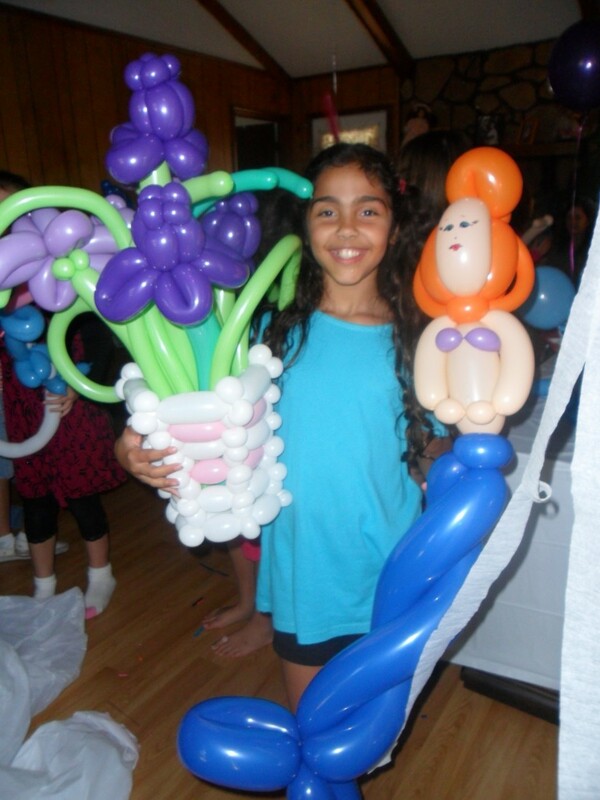 The balloon designs most certainly MADE the party awesome!! Thank you so much for your review... Everyone had a great time with the airplanes and Jet Pacs.. Again wishing Jake a Happy Birthday. Thank you for having me.. Balloon Smiles : When you see a Balloon it makes you Smile! Our two Danish/American granddaughters, ages 6 & 3, along with our son and daughter-in-law, came to visit us in Charleston, SC. 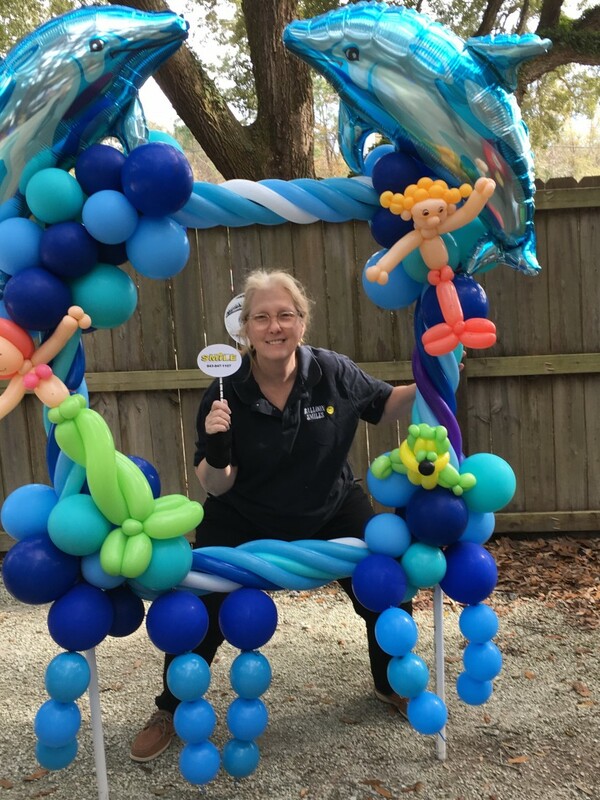 Judy, the owner of Balloon Smiles, came to our home to provide entertainment and we all enjoyed her offerings with lots of smiles and laughter. She began in the backyard with bubbles. Her bubbles ranged from enormous to medium and small sizes. The children had a lot of fun chasing and popping them and Judy invited all to try their hand at making their own bubbles. Lots of laughs! We followed that act by going inside where Judy presented Batman and Minnie Mouse balloon characters, their favorites, to the girls. Prior to her arrival she had asked about their favorite colors and characters. The balloon characters were very good replicas of their namesakes and were hugged and played with immediately. Judy then proceeded to make balloon bracelets and hats for the girls and their parents, one with mouse ears and pink trim for the Minnie Mouse fan. Those were fun to see and they were worn proudly. Next Judy made the little snowman from 'Frozen', Olaf, and delighted everyone with her design and painting of the facial features. He was an immediate hit! Judy followed that by making a blue and white balloon dog (Frozen colors) that also was a hit. Judy showed our granddaughters how to make and attach arms and legs and the oldest tried her hand at painting features as well. Judy displayed a very patient and warm manner to all, smiling and laughing along with all of us and making memories that will last a lifetime. I have photos of this event that I will enjoy for years to come. Gazing at the Danish smiles on my granddaughters is priceless. I carry my supplies in an apron, so usually stand near a table and create the requested balloon characters requested. I love to interact with each person or child to create something personalized for them. from a character or bracelet to a head band with balloon figure. I have been a Certified Balloon Artist (CBA) since 1999. I have done parties both small and large, Weddings, Bar Mitzvah's, Corporate Events, Church Festivals, to Restaurants. I can twist many different figures by request. (Lady Bugs to Brides) I have been told many times, Wow you are the best... everyone has a great time, cant wait for you to come back.. 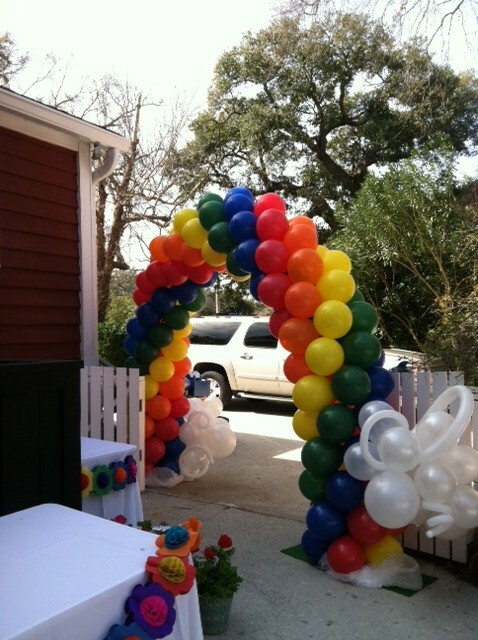 If you are planning an event, I will gladly meet with you at the venue, to determine your balloon needs. If you need twisted figures, or classic balloon decor, this is your one stop shop. I combine the best of twisting, with classic decor to make your party an EVENT. 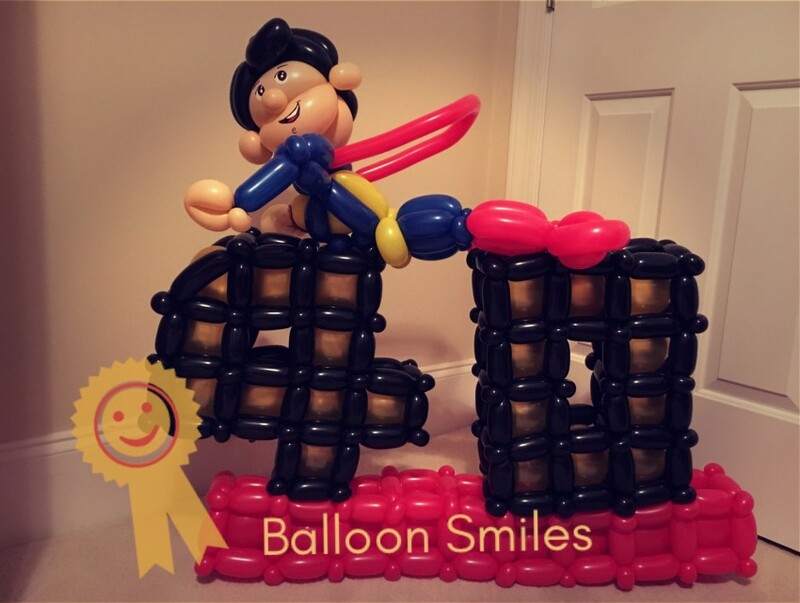 Check us out and Give BalloonSmiles a call today! I look forward to working with you.. I have been a Certified Balloon Artist since 1999. A program for balloon people who love what they do.